Please be advised that effective November 1, 2018, DigiCell will be increasing the data allowances in all our PrePaid Data Plans. Customers will now enjoy up to 100% more data, offering even better value. With our Advanced 4GLTE Network, you can continue to share, surf and stream on the Fastest Mobile Network in Belize. DigiCell continues to offer more coverage, with over 127 cell sites countrywide, allowing you to stay connected with more people in more places. All prices are inclusive of GST. With DigiCell, you can choose the data plan that's best for you. 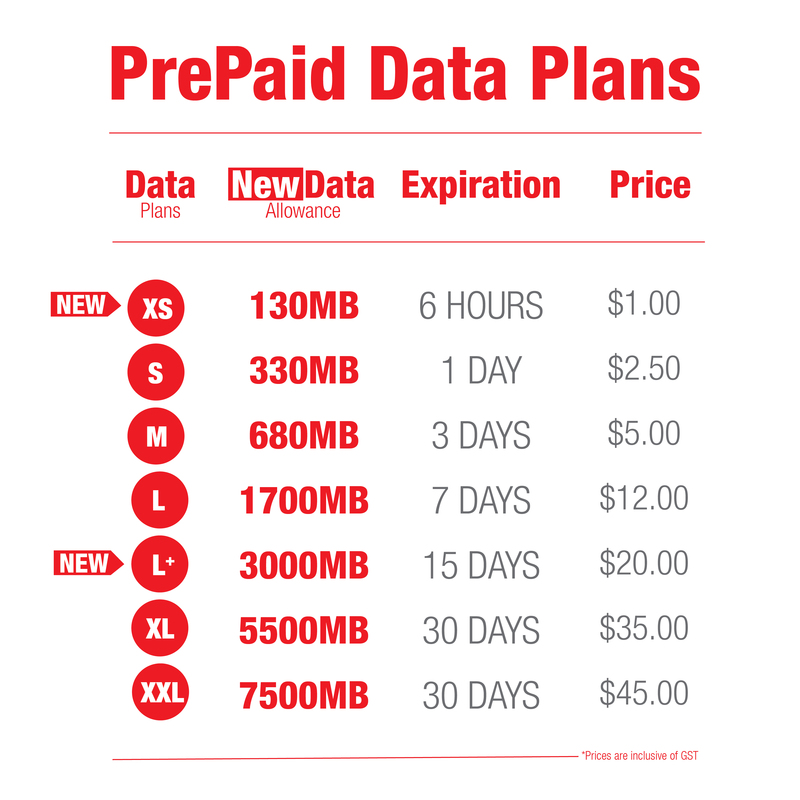 Our plans start at ONLY $1 for 130MB. Need MORE? Check out our other plans! 4. Send the plan name to short code 400. For example, text “Data M” to 400. 5. DigiGo App - Download the DigiGo App from the Google Play Store for Android user or App Store for iPhone user. Get details on how to Better Manage Your Data! How are charges deducted for data plan purchases? Charges are deducted from Primary Balance only. What happens if I do not consume the allotted data allowance on my plan within the validity period? Your data allowance will be lost if the data plan expires. To extend your data allowance, simply purchase another data plan. This will allow the data allowance to accumulate and the expiration date will be extended based on the new plan purchased. Do I pay tax on data purchases? Yes, all prices are inclusive of 12.5% GST. How will I know when I have used all of my data? You will receive text notifications when your data consumption reaches 50% and 100%. What is the APN used to get data access on my Mobile device? The APN is “DATA”. For more information about the APN, click here. How can I check my data speed? We recommend you download the Ookla Speed Test app on your device to check your data speed. What device frequencies are compatible? If 4G/LTE/3G/Edge/H+ is not displayed on the Mobile device, what should I do? Purchase a Data plan. 4G/LTE/3G/Edge/H+ is only displayed on your device if you have an active data plan. Can I use my data allowance between several devices? Yes, data allowances can be shared with multiple devices, e.g. a handset, tablet and a laptop. In order to do this, you can simply place a PrePaid SIM in the device. To use on your laptop, you will need to purchase a dongle.